Three reports have been released over the last few weeks that present considerable cause for concern. 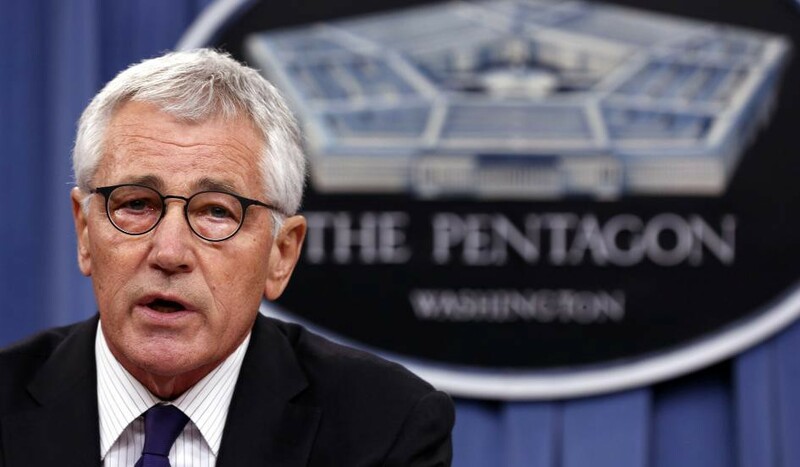 First, the Pentagon released its 2014 Climate Change Adaptation Roadmap. Hot on its heels was the 2015 Climate Change and Environmental Risk Atlas, published by global risk and strategic forecasting company, Maplecroft. Each of these two reports warned that climate change amplifies the risk of terrorism and violent conflicts arising from economic shocks and increasing poverty. The third, and perhaps most alarming of the three is the Intergovernmental Panel on Climate Change (IPCC) Synthesis Report, the fourth and final part of the Fifth Assessment Report (AR5) that has been released over the course of the last year. AR5 is the most comprehensive assessment of climate science since 2007 when the Fourth Assessment Report (AR4) was released and states, quite unequivocally, that left unchecked climate change could spiral out of control leading to dire consequences for all living things on the planet. 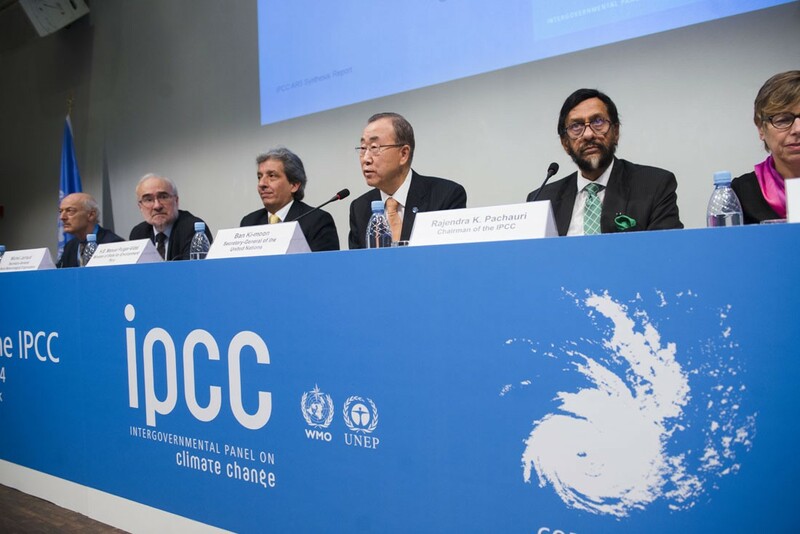 Not surprisingly, the IPCC implores world leaders to sign a new climate agreement at the Paris meeting of the United Nations Framework Convention on Climate Change (UNFCCC) Conference of the Parties (COP21) in December 2015. Certainly, if the military, global risk analysts, and climate scientists are united in the view that climate change is set to destabilise regional security, impact supply chains, and create economic and social mayhem, action is already long overdue. If these are the symptoms, what is the cause? The key problem is gross domestic product (GDP), the most widely accepted barometer of a nation’s economic growth, and statement about the proficiency of a government as manager of the economy. For decades, numerous political parties have prospered or faltered on this most revered of economic statistics, but it has now ‘reached the end of its shelf life’. There needs to be a reconceptualisation of economic growth, and a redefinition of well being beyond raw GDP figures, because the pursuit of economic growth – 20th-century style, at least – is no longer possible. We now live in a ‘full world’ and humanity needs to find a safe operating space within planetary boundaries. 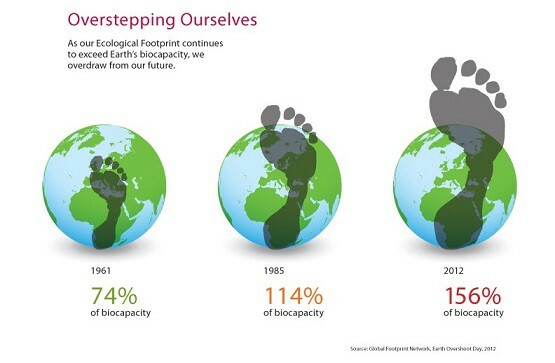 Statistics from the WWF Living Planet Report 2014 show that our current footprint is already 1.5 times the Earth’s capacity, creating a significant ‘ecological budget deficit’. World population has more than doubled in the last fifty years from around 3.2 billion to just over 7 billion, and it is forecast to reach 9 billion by the middle of this century. The corresponding increase in demand for the world’s scarce resources has been equally dramatic, to the point where there is increasing pressure on the natural environment to provide sources and sinks. In other words, raw material inputs (sources) to the production process are becoming scarce or more difficult to access, and finding ways of disposing of the waste by-products of the production process (sinks) is also becoming more challenging. In an ‘empty world’ these problems did not arise. Natural resources could be harvested with impunity because there were plenty more where they came from, and the biosphere was sufficiently resilient to absorb waste products without presenting any significant threat to its ability to regenerate and to supply important life support systems. In a full world, these scenarios no longer apply. Cutting down old-growth forest is a one-time addition to GDP, but it must also be treated as a reduction in the ‘natural capital’ stock. The disposal of effluent into a waterway may be performed at zero cost to a business but it, too, will serve to reduce the value of natural capital. So what is natural capital and why has it become so important? Simply explained, natural capital is the ‘free gift’ of nature. It produces a flow of ecosystem goods and services into the future, such as pollination, water catchment, recycling of waste, soil formation, food production, raw materials, erosion control, and climate regulation, to name but a few. The really important thing about natural capital is that, for this flow of ecosystem goods and services to continue uninterrupted into the future, the structure and diversity of the system must be maintained. The risks associated with not doing so are considerable, and they are becoming more acute the more we draw down the natural capital stock. This has long been a concern of the environmental movement, but now it is becoming part of mainstream discourse in the world of business and finance, most notably within the accountancy profession. In late 2012, the Association of Chartered Certified Accountants (ACCA) published a report entitled, Is natural capital a material issue? A follow up report in 2013, Improving natural capital reporting and finding the tools to help, went a step further. In May 2014, the Chartered Institute of Management Accountants (CIMA) entered the debate joining forces with EY and others to publish Accounting for natural capital: The elephant in the boardroom. When such august bodies like professional accounting associations simultaneously take an interest in natural capital it does not happen by chance. A key explanatory factor is the increased financial risk associated with supply chain management. In an increasingly globalised world, this can be a complex business. It becomes even more complex when that risk is heightened by the increasing incidence of extreme weather events. 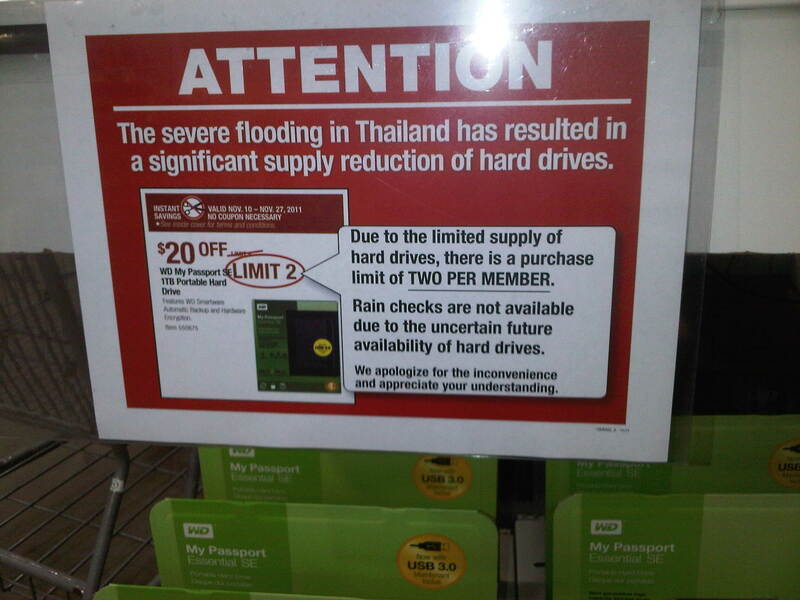 One of the first cases to attract attention was Thailand in October 2011 when it was hit by devastating floods. There was widespread chaos throughout the country, and more than 350 people died. The impact of this catastrophe extended beyond national borders. 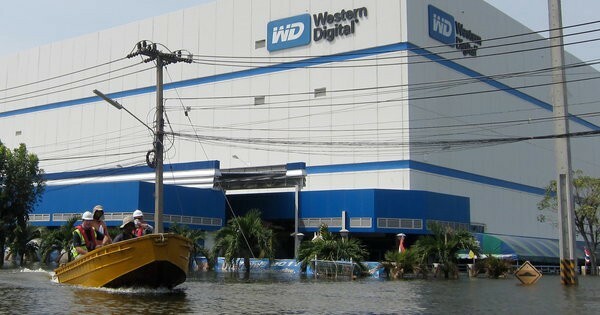 Thailand is the world’s second largest manufacturer of hard disk drives after China, contributing around one third of global output, and the damage caused by flooding severely hampered production and distribution placing the global supply chain under considerable strain. Like many emerging economies, Thailand has benefited enormously from GDP growth, with large numbers of people being lifted out of poverty. Rapid economic development may also require the removal of large tracts of natural vegetation to make way for the construction of manufacturing plant, transport networks and other infrastructure. A problem, however, is that if this proceeds in an unbalanced way, some vital eco-system services may be lost such as water catchment. This increases the risk of severe flooding when there is a period of heavy rainfall. Back in 2007, The Economics of Ecosystems and Biodiversity (TEEB) project was established, in the words of project leader Pavan Sukhdev, was an attempt ‘to end the economic invisibility of nature’. Then, in 2010, a global partnership called Wealth Accounting and the Valuation of Ecosystem Services (WAVES) was formed with a view to addressing the problem. This group brought together a broad coalition of UN agencies, governments, international institutes, nongovernmental organisations and academics to roll out Natural Capital Accounting (NCA), a set of internationally agreed standards to ensure that natural capital is mainstreamed in development planning and national economic accounts. Working at an international level, WAVES aims to encourage more informed decision making to ensure ‘green growth’ and long-term advances in wealth and human wellbeing. To date, only a small number of countries have implemented NCA, including Botswana, Colombia, Costa Rica, Guatemala, Indonesia, Madagascar, the Philippines and Rwanda, but it is clear that the world would benefit from a new, smarter version of GDP. Other high profile initiatives driven by the business community include the World Economic Forum’s Green Growth Action Alliance (G2A2), and the Natural Capital Coalition, a multi-stakeholder open source platform for supporting the development of methods for the valuation of natural and social capital in business. Meanwhile, billions of dollars are flowing into forests and other ecosystems to reduce emissions and conserve these vital networks of what one might term the planet’s ‘soft infrastructure’. The motivation, simply, is to manage risk. While not the most obvious of superheroes, accountants are engineering a paradigm shift in company reporting and they may just save the planet in the process. Professor Jeremy Williams was a keynote speaker on this topic at the Emerging Markets Dialogue seminar sponsored by GIZ-India, YES Bank, and UNEP-FI, entitled ‘Natural Capital: Relevance to Financial Institutions in Emerging Economies’, at the Sofitel Hotel, BKC, Mumbai, 14 November 2014.